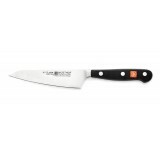 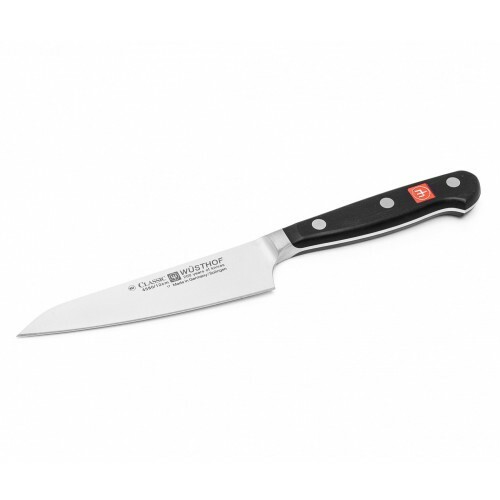 The CLASSIC 12cm Kitchen Surfer Utility Knife features a uniquely curved straight edge blade, which allows it to be used as a mini cook’s knife as well as a paring knife. 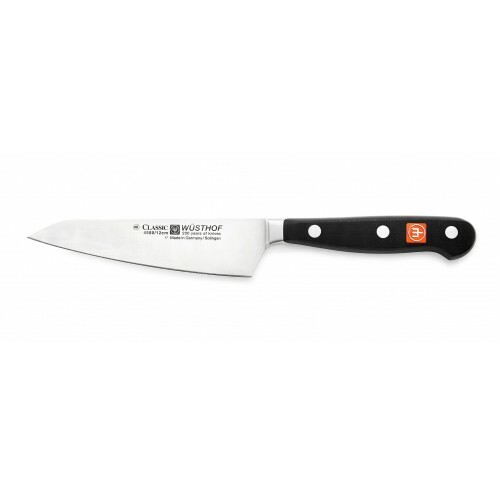 The new knife is perfectly designed for both low rock cuts that require moderate heft and precise balance, and closer hand work that demands a razor sharp edge and exceptional agility.The ideal size and shape for countless food prep tasks, the Kitchen Surfer performs effortlessly when cutting, slicing or dicing a variety of ingredients, including small and medium-sized fruits, vegetables and cheeses, and can even be used to trim meats and poultry. 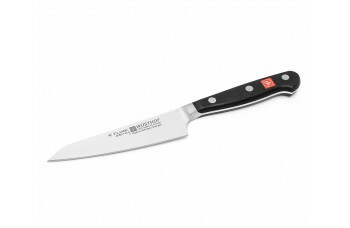 • Precision Edge Technology (PEtec) yields a blade that is 20% sharper with twice the edge retention.